AKG Y50BT review | What Hi-Fi? In 2014, AKG introduced us to the Y50 on-ear headphones. They were so good they won a Product of the Year gong – the highest praise we can give any product – and have successfully defended their title ever since. 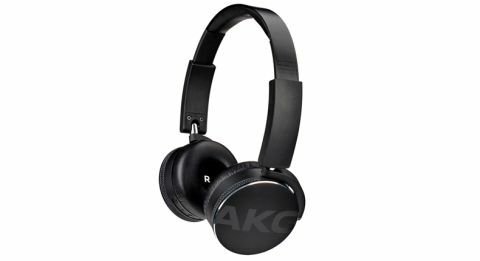 The AKG Y50BT, their wireless cousins, followed suit with a couple of What Hi-Fi? Awards of their own and are now available for as little as £79. We’ll get straight to the point: the AKG Y50BTs are superb. What you have here is a rare example of headphones that are equally excellent across audio performance, features, design and build quality. The sound is extraordinary by wireless standards, easily good enough to pass for a good wired performance. It’s remarkably clear, offering the sort of insight makes it easy to tell the calibre of the talent on hand. There is no discernable hint of the hiss and whine that give away the wirelessness of lesser headphones. Bags of detail go hand-in-hand with that clarity. You get all manner of texture to instruments and vocals, which are organised well enough for you to appreciate the sense of space and separation, but not regimented enough to seem clinical. Throw in some dashes of panache, and the result is a performance that’s as entertaining as it is competent. Much of that is down to the Y50BTs’ sense of rhythm. We never hear anything other than top timing, even when we feed the AKGs the more complex stuff (anything with Davis or Coltrane). It also helps that the headphones have the dynamic heft to articulate shifts in tone and volume. Couple that with the timing and what do you get? A cheerful, funky sound that has no problem grabbing your attention. Stick on a spot of Al Green and we’ll eat the Y50BTs bundled neoprene pouch if you manage to hold still. We compare the AKGs to 2014’s Award-winning Philips Fidelio M2BTs and discover that the Philips offer a richer, fuller sound, but the AKGs skip merrily ahead with greater agility and insight. Great wireless sound, then – but what if you run out of battery? Use the headphone cable (included) and carry on listening passively until you can plug in the microUSB charging cable (also included). A full charge gets you about 20 hours of juice. We are happy to hear the wired sound is good too. The character and level of competence is broadly similar to the wireless performance. It trades a little power for refinement but there’s not much in it. The cable has no controls because they’re built into the headphones themselves. The right ear cup has buttons for volume, play/pause, and power/pairing. Pairing is easy – Bluetooth connection takes no time at all, and we don’t experience any dropouts. These additions (and a few extra mm in thickness) are subtle and hard to see – for the most part these AKGs have the same design as last year’s Y50s. That’s a good thing, as we are fans. The favourable ratio of aluminium to plastic to gives out a luxurious vibe, although the big ‘AKG’ slapped across the ear cups will not suit everyone, especially if you get one of the models in youthful bright colours. However, the ones we tested in black and silver are subdued enough to be cool. And they’re practical too. They’re comfortable to wear, even with glasses, and they don’t get warm too quickly. And when you’re done listening, the earcups swivel flat and fold inwards, small enough to fit in a coat pocket. We are very impressed by the AKG Y50BTs. The company has managed to take one of our favourite products and cut the cord, while maintaining a high quality. Top sound, ease of use and a cool, well-made design – if you’re looking for an affordable pair of Bluetooth headphones, look no further.